Bollards ensure safety and security in public spaces as well as restricted areas by preventing vehicular access. Leda Security Products offers a comprehensive range of street furniture products that can be installed to prevent vehicular access and protect pedestrians. For high security bollards such as the certified HVM range, Leda has also designed methods and products to disguise them and make the site more aesthetically attractive. One way to disguise high security bollards is to build planter boxes around them using brick, timber or aluminium. 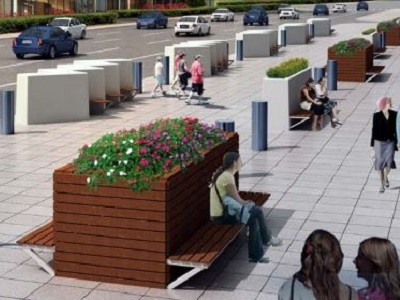 Seating can be integrated into these planter boxes to make them multifunctional.